The Ronda area is a cyclists delight and challenge, with spectacular views, and treacherous hill climbs as well. In fact the Serrania is a popular training destination for cyclists preparing for long distance road races and triathlons. As far back as pre-Roman times Ronda has occupied an important role in this part of Southern Spain because of it’s high cliffs, deep gorge, and easily defensible position on a main trade route. Located on one of the main routes inland from southern coastal ports, Ronda and it’s older but now ruined sister city Acinipo, have together been occupied since at least 1,100BC. 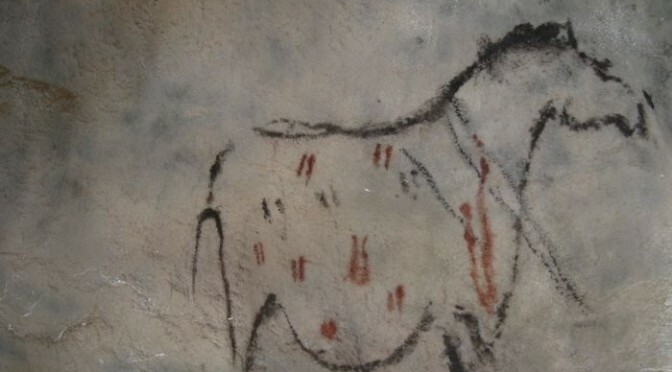 Paleolithic and Neolithic people roamed the hills around Ronda leaving many fascinating reminders of their presence, including cave paintings at Cueva de la Pileta, dolmen burial sites near Montecorto, and in the Grazalema Natural Park, and numerous sites where archeologists have discovered stone age pottery and other relics. 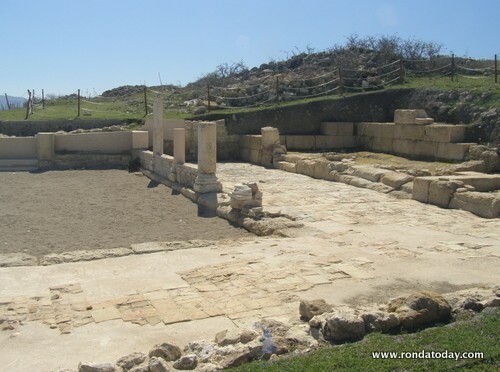 It is hard to believe that Ronda was once a major centre in the Iberian provinces of the Roman Empire, however a quick look at the history books will find references to Acinipo and the terrible battles that occurred at Monda during a civil war between Julius Caesar and the sons of Pompey. Acinipo the city was most likely founded by native Iberians several thousand years ago, and archeological evidence at the site shows a bronze age settlement existed here between 1100BC and 750BC, and a Carthiginian town may well have been established after this period, before the fall of Carthage in the Punic wars. 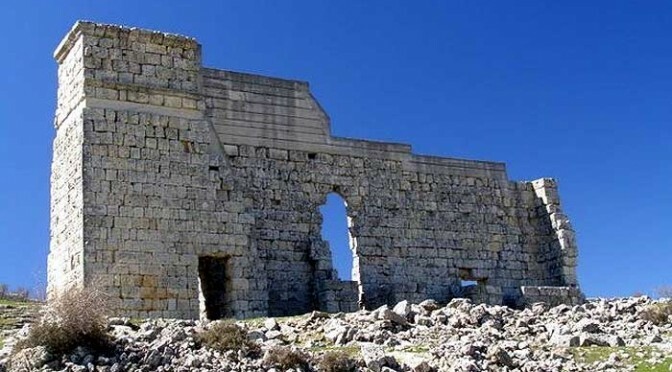 Acinipo is one of the most precious historical sites in the Serranía de Ronda, a fact not lost on thieves who have been using sophisticated metal detectors to discover coins and fragments of other metal objects. Over 400 holes have been dug, described by the Friends of Acinipo Association as blatant vandalism and theft of public property. The thieves have cut numerous holes in the fence surrounding Acinipo of the last month and a half, causing thousands of Euros damage to the enclosures. With shovels and hoes, the thieves are digging holes wherever they detect metal, with complete disregard for stone foundations they encounter. This type of brazen vandalism is impossible assess how much damage is being caused since Acinipo is a working archeological dig with much yet to be discovered about the city. Manual Garcia, Provincial Delegate for Culture yesterday met with senior representatives of the various local police agencies to demand increased night time patrols of the area, and the apprehension of those responsible. Aside from damage to the fences, it’s estimated several hundred coins and other relics would have been stolen, with a conservative value in the tens of thousands of Euros not including the value to Ronda of their cultural loss. Acinipo is a ruined Roman city located at around 15 minutes north of Ronda, and from the 1st century BC to the end of the 5th century AD was one of Roman Iberia’s most important cities. By Imperial decree, Acinipo was entitled to mint it’s own coins, thousands of which are believed to still be buried under the ruins.